These are available in quality powder coated finishes. This "S" scroll measures 1/2" square, 5-1/2" wide and are able to adjust approximately from 31-1/2" to 38-1/2". You may achieve a 29-1/2" length by cutting the bottom small slide rod. By using an optional extension, you may achieve a height of (approx.) 42". 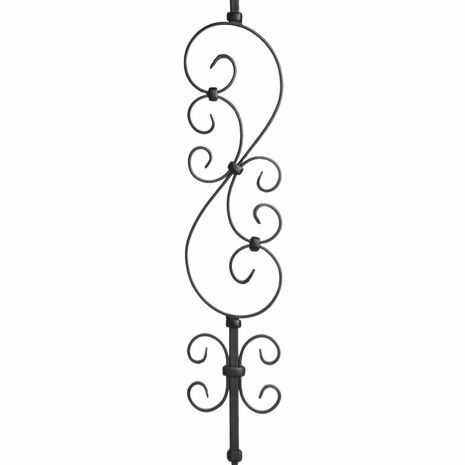 One swivel top shoe and one flat bottom shoe are included with each baluster. Screws & Allen wrench are not included.Black drywall screws are recommended. These are really nice. We used this style with the twisted ones also and it really looks beautiful. 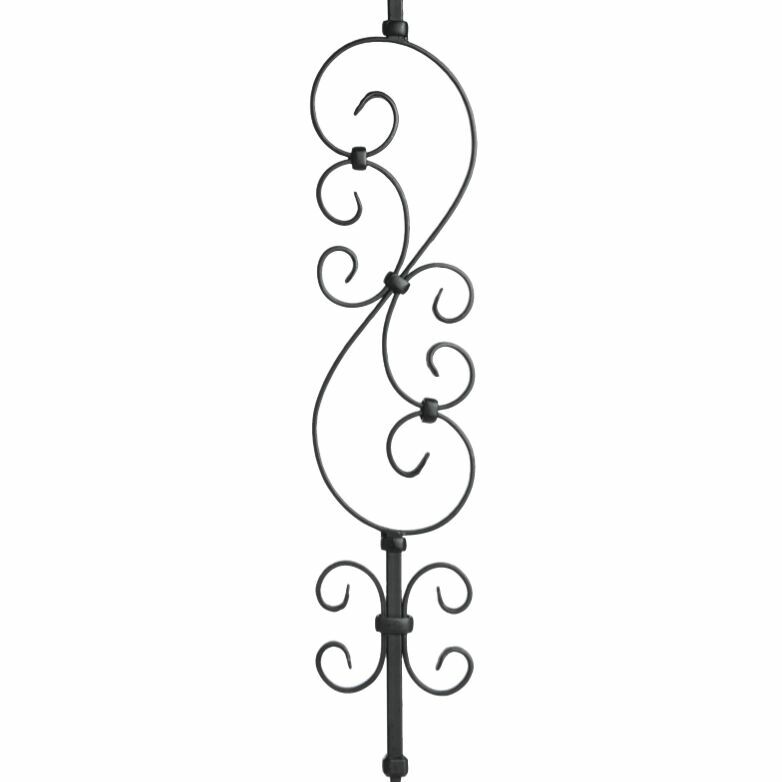 We used one of these with every three twisted balusters. Looks great and by doing this way we saved money because we did not use as many scrolls. Super easy to install and my wife absolutely loves the end result. Good quality and I would highly recommend.